We understand the various reasons companies choose to manufacture their injection mold tooling overseas. But we're also very aware of the pain points that come with it. In fact, many of our current customers came to us after struggling with quality issues from their overseas suppliers. Whatever your reasons, The ERC can offer you the price of buying overseas with all the benefits of manufacturing in the USA! 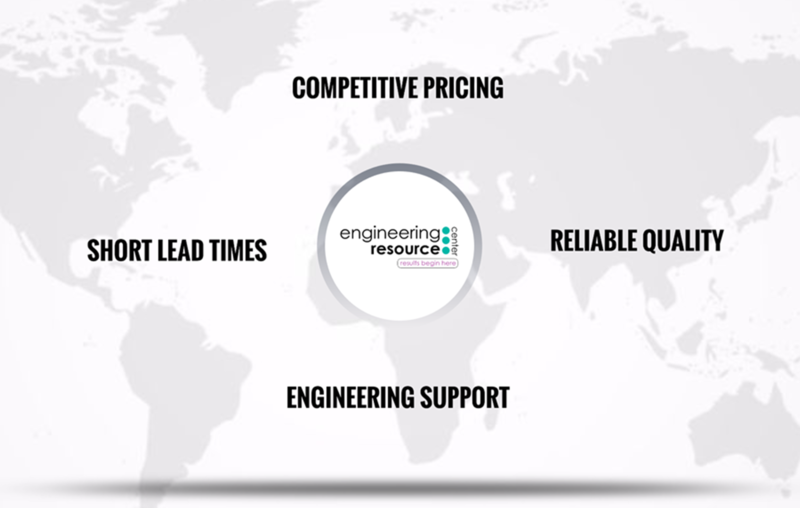 Competitive Pricing: Our automated tool manufacturing process allows us to offer prototype and production tooling prices that are competitive with suppliers around the globe. Short Lead Times: Since we're based in the USA, our lead times don't require extra time for shipment overseas or time in customs. We also give weekly updates on tooling progress to give you peace of mind that your tool will be completed on time. Reliable Quality: Our skilled toolmakers are committed to constructing high quality prototype and production molds. We only build molds out of quality steel to ensure that your tool and components are made to specification. Even though your quantities may be limited, our attention to detail and your print is not! Engineering Support: Our engineers are available exactly when you need them to assist with design and recommend the proper materials for your plastic parts. We know how important same day service is when lead times are tight, so we will always get back to you as soon as possible. Our mission is to give customers peace of mind that they will receive high quality tooling that will produce flawless plastic prototype components. Interested in finding out how competitive our tooling prices are with your current overseas supplier? Use our rapid quote form to get a no obligation quote today. Is Expensive Tooling Derailing Your Projects?